Bridge Tool & Die, Inc. produces carbide gates, seats, and sleeves used in hydraulic manifold systems. Bridge Tool & Die, Inc. produces carbide gates, seats, and sleeves used in hydraulic manifold systems. From directional drilling to flow-back operations, Bridge Tool manufactures the carbide components needed for quality performance. A number of oil & gas service companies have switched to using our technology in their applications because of the increased resistance to wear. When you have extreme wear, you need extreme durability. 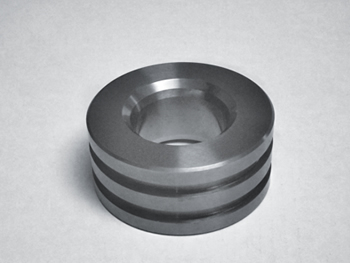 We are able to provide this value added wear resistance through our in-house grinding and polishing technology.